They say beauty lies in the eye of the beholder, so what is beauty to me, may not be good for you and vice versa. 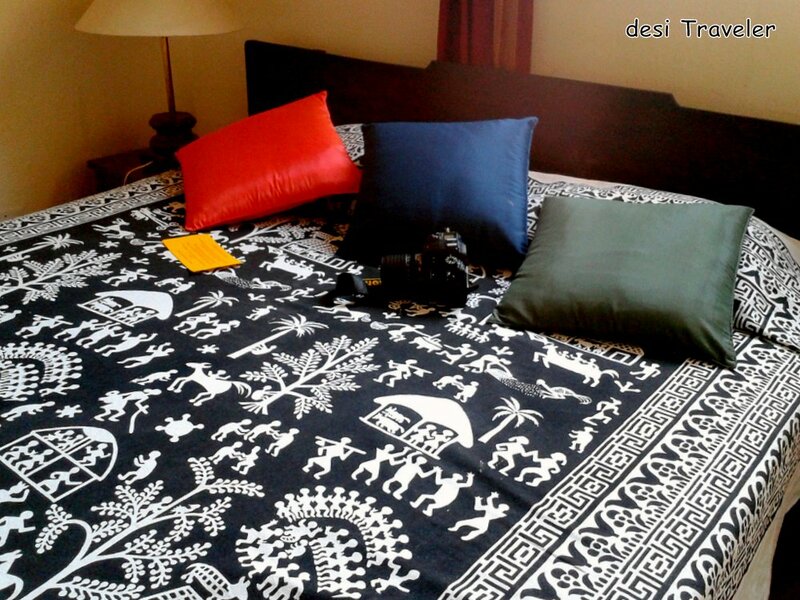 So browsing through some old pictures I found this simple bed sheet, that I find beautiful both for its art as well as for what it depicts in the print. For today’s picture I have chosen a picture of a bed sheet from one of the hotels I stayed in Pondicherry to attend an international marriage in a resort. Now on the face of it this bed sheet may look a simple bed sheet, but look at it closely and you discover a whole world from rural India unfolding in front of your eyes. 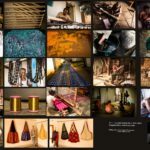 First of all it is unique handicraft found in India and few other countries like Indonesia, Malaysia, Iran, Bangladesh, Sri Lanka, Thailand and some regions in Africa such as Nigeria, Cameroon and Mali and few others. 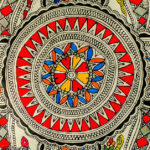 There are some claims and counter claims about the true origin of Batik printing. But my aim is not to stake claim of India about the origin of Batik printing but what all this particular bed sheet shows. Try to find things in the pictures from day-to-day village life before you read further. There are a few more things in the bed sheet that I have left deliberately, let us see if you can spot them. If you do please mention in the comments. 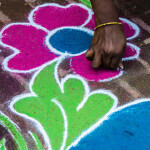 The whole idea of this post was to showcase that art and day-to-day life in India is so intertwined together that it is not possible to separate the two. No wonder we have art forms like Batik, Madhubani paintings, miniature paintings from Kangra etc that depict day-to-day life. 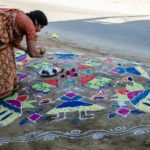 The reason we do not have names of great artists from earlier era is not because there were no great artists in India, but art was never separate from life, everybody in the village was an artist, as seen from the mesmerizing Rangoli our rural women make in front of their homes. 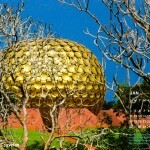 Or check the beautiful Pochampally saris made by the weavers. I would have never stared at the picture closely if you didn’t mention the various motifs. I can see a group of people dancing and palkis as well. 😀 Thanks for making me notice. Lovely print. I have not heard of this batik print but now I do. I like the print on the sheet.